There are more than 90 patios (courtyards) to be found around the centre of Palma. Most of them are not open to the public eye, other than perhaps through an iron gate. Some are museums (Palau March), the High Court (Can Berga), cloisters (Basilica de Sant Francesc) or retirement homes for elderly priests (San Pere i San Bernat). 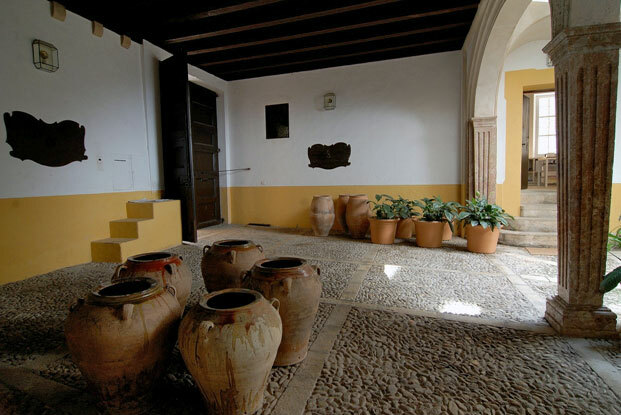 Others, such as Can Oleza, Can Sureda or Cal Poeta Colom (photos top and bottom) are private houses and their patios can only be visit in exceptional circumstances. Some patios are occasionally used as the setting for music concerts, mostly of a classical nature. The origins of Palma’s patios date back to the Roman period, but took on more importance after the Conquista during the 13th century. At the beginning they were modelled in an austere Gothic style, but with the economic prosperity of the 17th and 18th centuries, their architecture became far more elegant and refined in the Renaissance and Baroque styles. 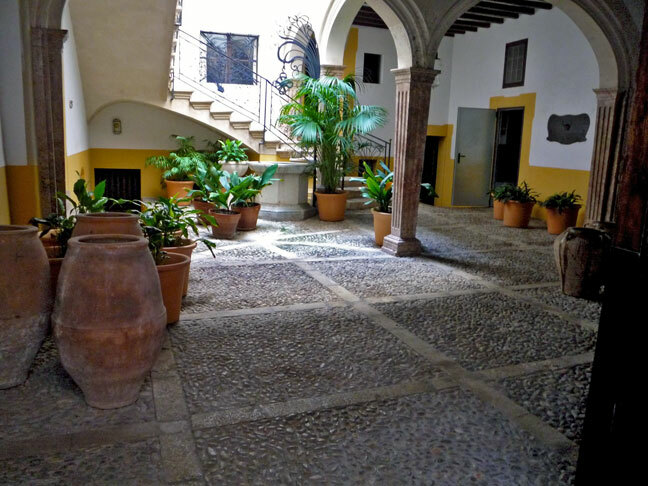 From today, September 3rd, and for a duration of eight weeks the Ayuntamiento de Palma will conduct guided tours of the 33 most iconic courtyards, of which 19 will be toured this month in Palma’s Ciutat Alta and in October, 14 courtyards will be shown in the Ciutat Baixa. Guided tours are available in Catalan, Castellano, English, German, French and Italian. Tours will be held mornings and afternoons from Monday to Friday, plus mornings on Saturday. Admission is 8 €, with a 20% discount for residents, pensioners and groups, whilst youngsters under 11 go free. Check the new website for details. Reservations can be made by telephone (971.724.268). The photo (top) was chosen from my archive. It was taken in Palma, Mallorca, Baleares, Spain. The date: May 14th, 2008. The time was 10:58:28. The photo (bottom) was borrowed from the Internet, courtesy of patisdepalma.es.